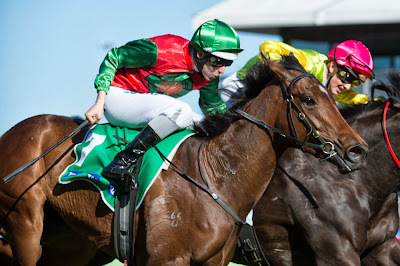 What a heart stopper in the Group Two Edward Manifold yesterday! Se Sauver has gone forward in leaps and bounds with Matt Laurie and fortunately the last bound was enough to get the decision at Flemington. She only won her maiden at Pakenham less than a month ago and you can totally forget her run at Caulfield a fortnight ago when her race was over even before she’d jumped. The stable is now targeting the Group One Thousand Guineas at Caulfield on 13 October and perhaps the Crown Oaks on 7 November. Imagine a Bel Esprit Group One winner over 2500m! Se Sauver is Bel Esprit’s 17th stakes winner overall and just as importantly, Victoria’s Champion Sire posted four winners for the day … it now has him in clear third on the national winners’ chart – and well poised to retain the title.